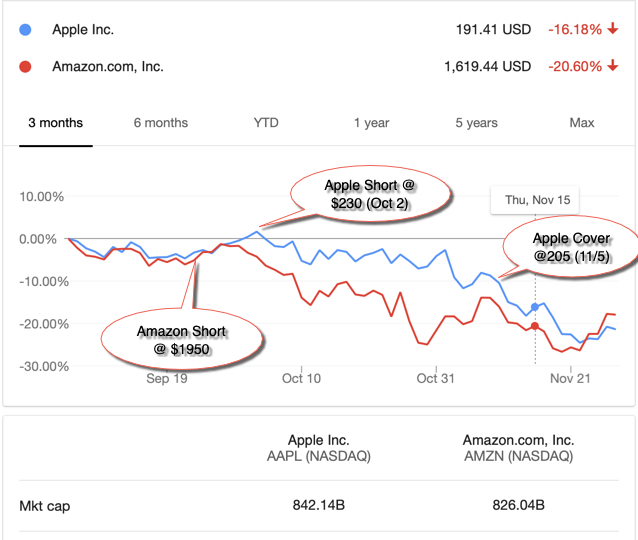 Musings on Markets: Investing Whiplash: Looking for Closure with Apple and Amazon! Recently, in addition to Amazon and Apple, you also valued Facebook: "The median value of $179 is close to my point estimate value." When Amazon and Apple crashed, Facebook similarly went down to the low $130's. 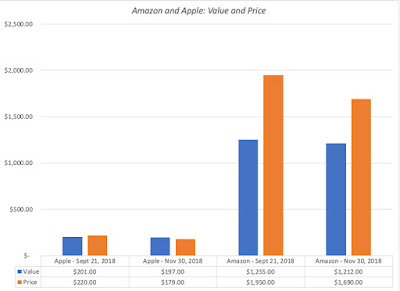 The FB daily price changes practically matched those of Amazon and Apple during the last 3 months. It's somewhat likely that timing luck rather than valuation that affected the outcome of your Apple and Amazon shorts. Another great post, Professor! Knowing our strengths and weaknesses, and then act with no regrets is so important. Not only to investors but everyone in life. I am interested in getting your thoughts on Snap. 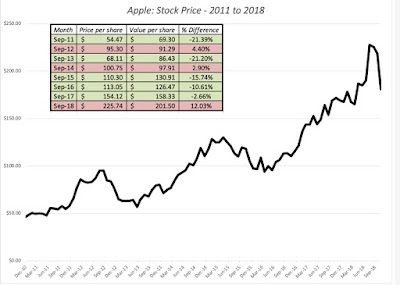 I remember that you mentioned in an interview with Scott Galloway - with approximately 187million users, Snap could still be relevant and become an interesting opportunity for investors. 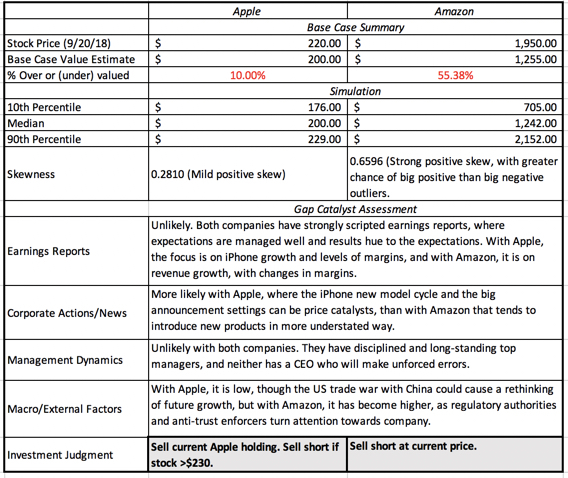 Have your valuation and pricing on Snap changed since that interview? 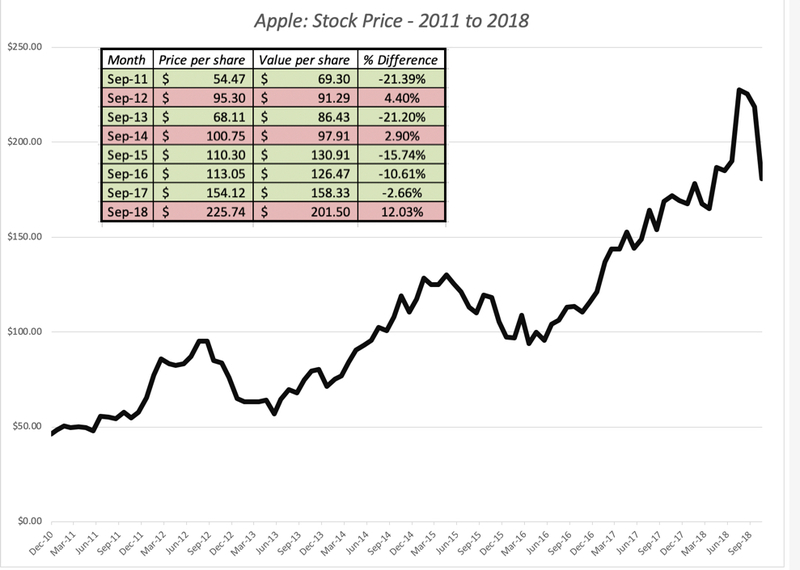 Given that the S&P 500 is off about 7% since your September valuation of Apple and taking into account that several of its key suppliers have already cut thier outlook (thus indicating a slowdown for Apple’s sales), how much might that have affected your previous valuation of the co and its stock? Thanks. when would you consider updating the cover price for amazon? based on the 60 percentile number you use, it obviously would have changed from the time you did the original calc. 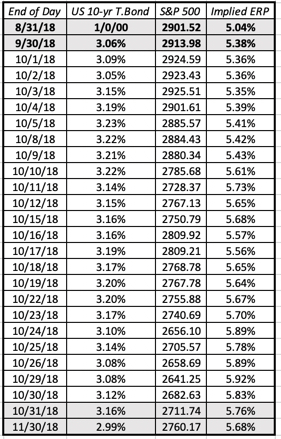 Would you update it monthly, or after an earnings update? 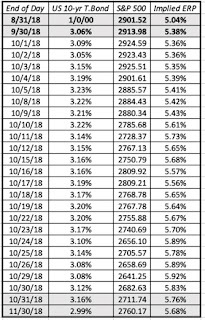 What would be a reasonable interval?